Well said brother Eli. Many simply do not realize that, as Romans 5 clearly teaches us, that is was because "of the obedience of One" that we can be made righteous before God. When a revelation of this is truly obtained, it is so shocking as to be offensive. Such is why Paul was charged with the things he was charged with. But such is the offensive of the cross. The cross says only the works of Jesus have any value. But mankind is always wanting to tell God what a good boy or good girl it has been... as if it deserved something for being such. But Jesus said, "blessed are the poor in spirit, for theirs is the kingdom of heaven." Only those who come to the Lord with empty pockets and realize they have nothing to offer will inherit the kingdom. As it is, what could we offer Him that is not already His? He owns the cattle on a thousand hill and then some. What could we possibly give Him that He did not already have has His by virtue of being Creator? Amen. Thank you Jimmy for this insightful comment. 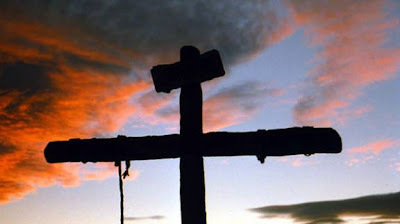 May we embrace the cross, though it speaks death to the flesh, it is the glory of God. Wow, God used you to write this. The cross is so beautiful to me, for there is where I recieved my forgiveness and my sins were paid for before I ever sinned on this earth. God was thinking of all of man when He sent Christ to die for us. God's glory does shine through the cross in which our Holy Savior God laid down His life for us. I love how true today God's word is as it was 2,000 years ago! Eli, we are Redeemed,Forgiven,and loved by God! How thankful I am for the price that Jesus paid for me. If I had to use my works to become more worthy of Grace, I would never get there... because the thing is I'm not nor would I be through my own works. Only through the price that Christ paid am I able to have the gift of Grace! I know that God will use my struggles for His glory! Because God is so more than I could ever imagine being. We serve an amazing God, whom we should live each breath for. My life is no longer mine, but it belongs to He who bought it through the cross. I would rather have my life in His hands than my own. May we always be reminded of how great our God is that we serve. Jesus Christ is the true hope and freedom that people are searching for through the things of this world. We are saved by Jesus and no other (John 14:6). God be praised today and forever more!